Savor the best among the best, live within your dream neighborhood via Amaia Scapes Bulacan. This sprawling 3.3 hectares of flat terrain and a house and lot enclave sits within the heart of Sta. Maria, Bulacan, where essentials of living are within distance. Santa Maria is a highly urbanized municipality in Bulacan where business, cultural, transportation, medical, institutional, financial and industrial centers thrive and prosper through the years. The place is also booming with residential complexes within the greenest and cleanest part of the municipality. Maintained and managed by the Ayala Property Management Corporation (APMC), the Amaia Scapes Bulacan offers house and lot package through easy and flexible financing and payment terms. 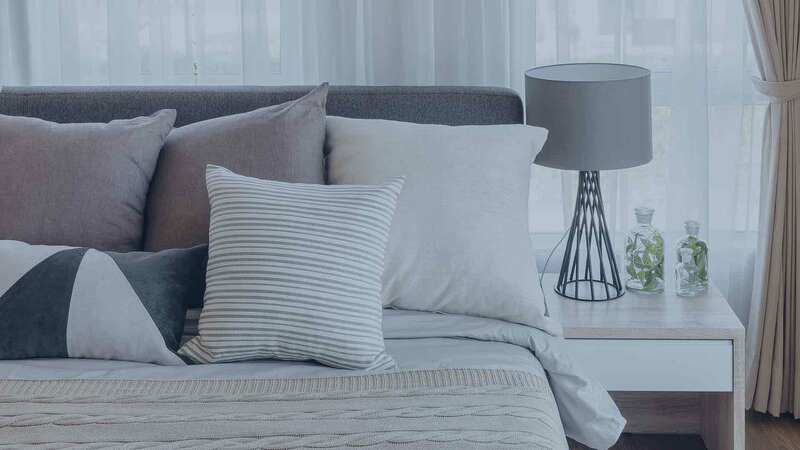 The site is designed and built by Amaia Land Inc. (the building arm of Ayala Land Inc.) and is one of the finest builders of affordable but high-quality housing. The project is just 15 minutes away from the Bocaue Exit of NLEX. Once you are inside of this magnificent estate, the whole family will witness the lush green within its fully-fenced perimeter and tree-lined spine road. The kids will surely appreciate the blue water swimming pool; they will find the patio green the best spot to play including the smooth basketball court or you can have your daily routine of running in the well-paved jogging path. Taste the best coffee in the estate's coffee shop and visit the salon for the beauty regimen of the entire family and other basic commodities in the retail area, all with competitive prices. The housing units are customized and come in 6 models: the Bungalow Pod, Twin Pod, Multi Pod, Single Home, Twin Homes and the Carriage Pod. Sizes range from 25 to 75sqm in floor areas with carport provison. The Amaia Scapes Bulacan will give your children various choices on where they could study as numerous schools and learning institutions abound and within reach such as the Grace Shekinah School, Sacred Heart Academy and St. Joseph College among others. Hospitals like the Rogaciano Mercado Memorial Hospital and Mateo's Diagnostic and General Hospital are accessible within short rides. Puregold, Walter Mart, Savemore and the Public Market are just some of the best spots for shopping and groceries and they are all within reach. The Boomtown Industrial Park and the Halili Industrial Complex are also a few minutes away. The Pandi Parish Church could be seen nearby. This countryside development is truly a wonderful sanctuary for an enjoyable and exciting family living with all the necessities of life just an arm's reach, go ahead and give it a try. Live in your dream home at Amaia Scapes Bulacan. Every individuals dream is to stay in a house they call home. People work for years to simply raise enough money to purchase a home and get relief from paying rent. Amaia Scapes Bulacan is a breathtaking village based in the heart of Sta. Maria and is surrounded by several recreational, entertainment and other establishments. Santa Maria, where Amaia Scapes Bulacan estate is based is a highly urbanized municipality where numerous cultural, business, transportation, institutional, medical, financial and industrial activities flourish. Furthermore, this region has many gated community that are located in the most serene position of the thriving municipality. Amaia Scapes Bulacan is a modern community with a beautiful landscape. It lies on 3.3 hectares of flat terrain and a house and lot are on site. It is based on the Santa Maria Pandi Road and just a 15 minute drive from Bocaue exit. Such a location can be accessed with ease no matter the direction that you may be coming from. The gated Community is surrounded by a number of luxurious residents to form the greener part of Santa Maria. The lovely Amaia Scapes Bulacan Village has most of the amenities that a family can need. But this isn’t a big issue as the urban center around the community has several other amenities that inhabitants of Amaia Scapes Bulacan can savor. After saving for years, one needs to have all the essential things within reach so that they can have a simple and more fulfilling life. Acquiring a home in Amaia guarantees you easy access to these essentials thus making it a suitable place to raise your family. Amaia Scapes Bulacan Village is a glorious community constructed by Amaia Land. The property developer, Amaia Land Corporation is a fully owned subsidiary of Ayala Land Inc. that caters to a wide affordable market segment. Amaia Land assures to bring the spirit and quality of quality development to more individuals. Formerly known as First Communities Realty, Inc. under the original Laguna Properties Holdings Inc. (LPHI), Amaia pays attention on the economic housing segment, which comprises of 34% of the Philippine real estate market. Amaia Land creates homes that are affordable and usually target teachers, small business owners, government employees, manufacturing employees, starting experts and families of filippinos working overseas. The house and lot for sale in Amaia Bulacan are maintained and managed by Ayala Property Management Corporation. This is enough to make residents feel safe and secure in this magnificent village. Amaia Land has simple and flexible payment terms that allow people to make their dreams come true by owning a home in this magnificent estate. When you purchase a house in Amaia Scapes Bulacan, you make an investment that you will forever be grateful for. The community is a gated one with different beautiful and excellently designed homes. With the busy lifestyle of urban centers, the estate offers its residents calm and clean surrounding that they delight in after a long day at work. This tranquility is crucial for unwinding for all kinds of dwellers be it a student or a business person. In addition, its close proximity to numerous schools, hospitals, restaurants, and many other establishments make it a great location to reside in and work from. Bungalow Pod – these have indoor ground floor area of 30 sqm. The porch area measures 4 sqm. The total house area measures 34 sqm and the Lot area measures 75 sqm. Single Home – this one has an indoor ground floor area of 30 sqm, and 2nd floor area of 22 sqm. The proch area has a measurement of 4 sqm and total house area is 56 sqm. The lot area varies with the least measuring 75 sqm. Twin Homes – these usually have an indoor ground floor area of 25 sqm and indoor 2nd floor area of 19 sqm. The porch measures 3 sqm, total house measures 47 sqm and the lot area measures 92 sqm. Twin Pod – it has an indoor ground floor area of 25 sqm. The porch area measures 3 sqm and the total house area measures 28 sqm, while the lot area measures 77 sqm. Multi-Pod Home – this one has an end unit inner floor area of 25 sqm and a porch area measuring 3 sqm. The total house area is 28 sqm with lot areas varying but having a minimum of 65 sqm. Carriage Pod – Retail Area – it has a floor area of 55 sqm and a lot area of 75 sqm. These are the homes being offered in Amaia Scapes Bulacan by Amaia Land. The prices range from 758, 053 Philippine Peso to 2, 047, 000 Philippine Peso. Interested buyers can follow the protocol of real estate property buying. Having your dream home is simple as Ayala Property has made it easy for interested purchasers to own homes in this beautiful village. Chat support outsourcing service provided by HelpDesk 247. Amaia Land Amaia Scapes Bulacan in Bulacan, Philippines is a premier House & Lot project available for sale. If you're looking to rent or purchase Amaia Scapes Bulacan, then check here first. We have full details of Amaia Scapes Bulacan updated regularly as well as everything you need to know about the availing and booking process, broken down into stages that includes selecting a unit, choosing a payment plan and buying your dream home at the right price. For price list, free site tripping or showroom visit, personalized service, model house, unit plans, floor plans, payment terms, CHAT LIVE with an agent 24x7. We are Remax Perfect Homes. Always only buy from PRC licensed Real Estate Brokers and Agents.